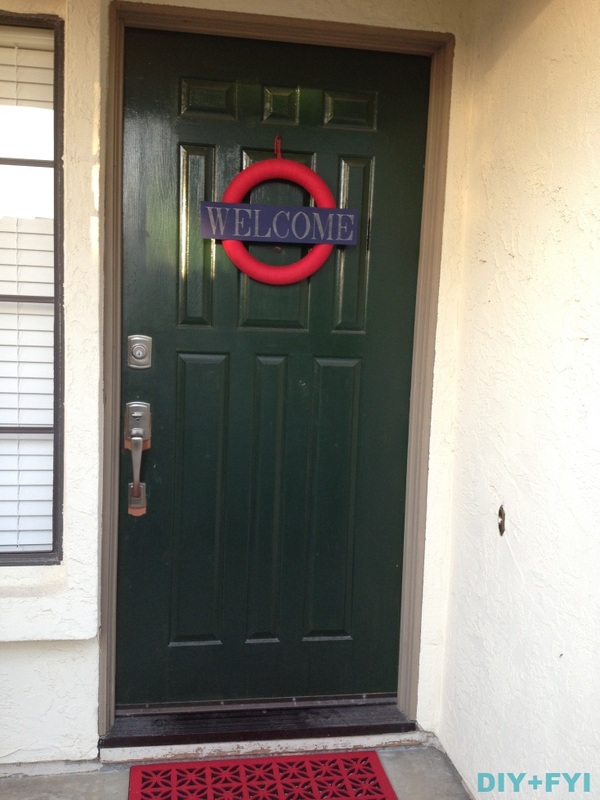 To me, the party begins at the front door so I thought I make a decorative yarn wreath, inspired by the many beautiful ones I’ve seen on pinterest, and mimic the London Underground logo. This simple project took a few hours and was super easy to make. 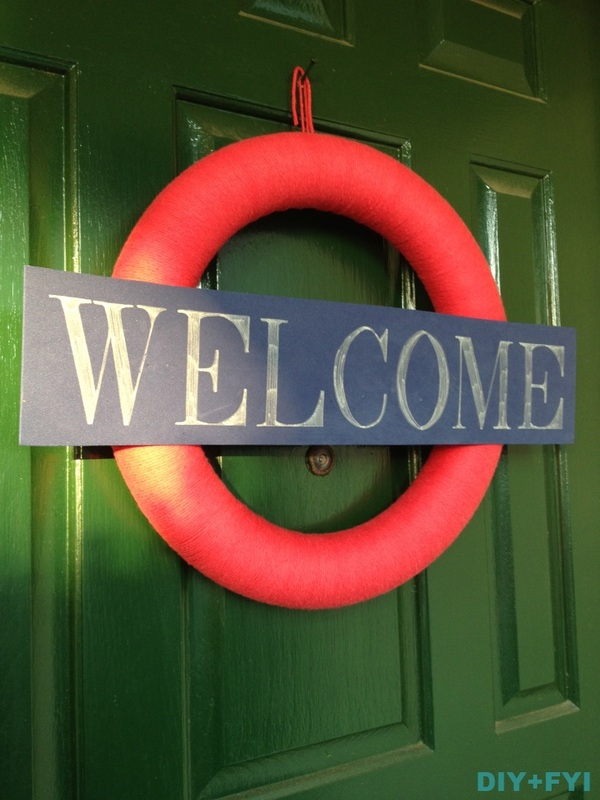 Supplies needed: styrofoam wreath, red yarn, blue foam paper, and a silver marker. 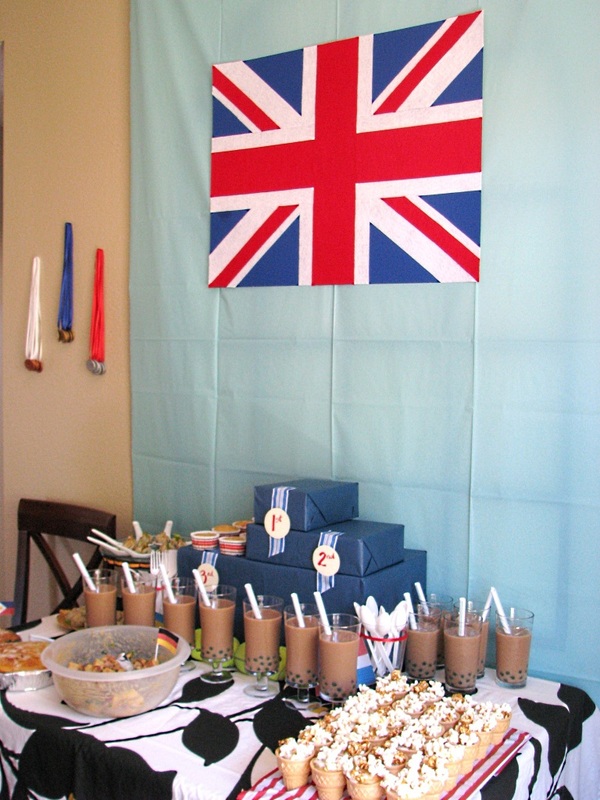 The next photo shows two craft projects: the iconic Union Jack flag hanging as a centerpiece over the food table and Olympic medals. The flag was fairly simple although if you look at it with a critical eye, the “x” in the background isn’t quite aligned properly. Oh well, close enough! :) Supplied used: dark blue poster board, self-stick white felt, red felt, and craft glue. And you can’t have an Olympics party without playing some games and we always play games at our house. I made the medals so that our friends could go home with a little souvenir. Supplies used: wooden circles, ribbon in red, white, and blue, hot glue gun, paint brush, and acrylic metallic paint in bronze, silver, and gold. 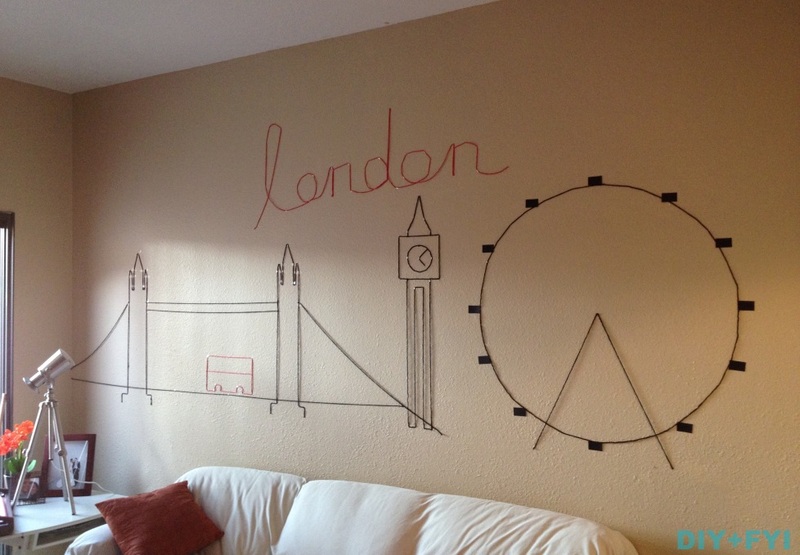 Onto my favorite decoration…the London skyline! This was a random idea that came to mind while I was at church (I promise I was paying attention during the service!) and I wasn’t sure how to do it but that’s the fun and beauty of creativity. I looked at images online and recreated the look with just three supplies: yarn, black paper, and tape. I’ve never been to London so its kinda cool to have it in my house!